13 Aug 2017 / 17:11 H.
BUTTERWORTH: The Butterworth Fringe Festival (BFF) returned for the third year over the weekend and visitors witnessed a vibrant, free public street event celebrating the arts, culture, and heritage of the classic town of mainland Penang. 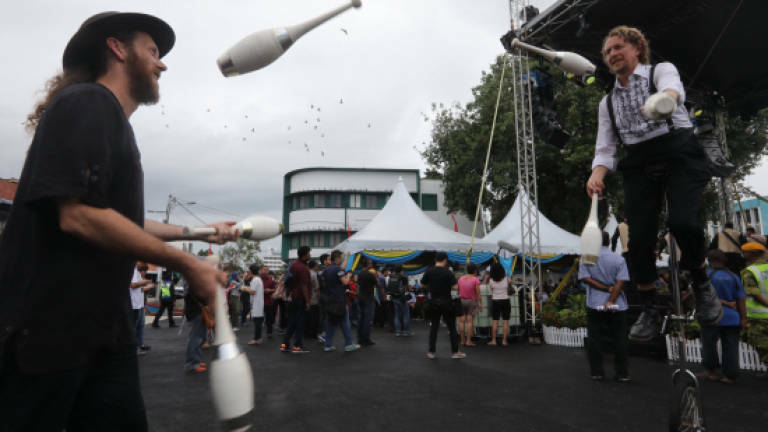 Held concurrently with the 8th George Town Festival, the weekend featured an exciting, family oriented, comedy and acrobatic shows, cultural performances, workshops and food which was open to everyone. 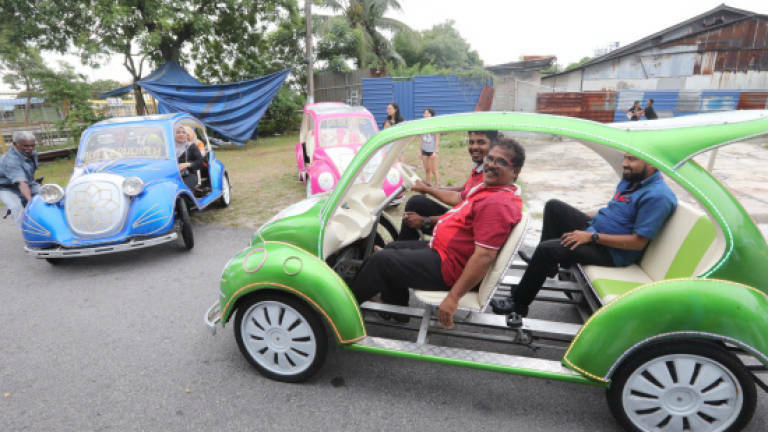 Officiated by Chief Minister Lim Guan Eng on Saturday at Jalan Jeti Lama, Butterworth was transformed into a festival-theme like town. The bad-weather did not deter visitors who thronged it despite rain during the two-day event. Also present were Seberang Prai Municipal Council president Datuk Rozali Mohamud and Joe Sidek, the festival director. "Butterworth is a strategic destination, filled with lots of potential for the growth of the arts and cultural activities, unearthing local creative talents at the same time. "Although this is the third-year running of the festival, it has successfully become a street fiesta that attracts the attention of local residents and international visitors. "After all, it is a free event with more than 30 reasons to spend the weekend here," Lim said in his speech during the launch of the festival. Among the highlights during the two-day event were Dolphin Creative Street Act featuring artistes from four countries that have made an impact at the Adelaide Fringe and Edinburgh Festival Fringe. Among others were exciting street acts such as Jack Flash, JP Koala, The Great Dave and The Chaplin Show during the weekend. The Great Dave, a quartet of high skill performers from England that mixed high-level circus skill with character and comedy. The Great Dave leader Dave Evans said this is the first time he had performed in Malaysia and Penang. "The people enjoyed our performances, great audience and spectators," he said. Jack Flash is a comedy stunt show that is a mix of knife juggling and skipping with a handstand finale while JP Koala is another comedy stunt show involving medieval axes and toy koalas. Charlie Chaplin the famous Hollywood actor during the 30s was another street act that featured Diego, a multi-talented actor from Argentina. BFF, supported by Think City, Seberang Perai Municipal Council and the National Department for Culture and Arts, was held on Aug 12 and 13 from 5pm to 11.30pm.